317 minutes run time. I feel like I need to put that out there right off the bat. That's five and a half hours of movie. No breaks, No intermission. Just movie. That being said, Ryûsuke Hamaguchi's lengthy and deep dive into the minutia of human emotions is well worth the investment if you are willing to go there. The pace is very deliberate and conversational which isn't out of the ordinary for Japanese dramas and one might think that five hours of that type of movie could get tedious and long winded but it really doesn't. The film is broken into a bunch of segments where each one sits in a particular space and allows the cast to dig into some exceptionally well written dialog. Leading the way for the cast is a quartet of ladies who both individually and collectively turn in some truly amazing performances that ended up earning them several awards including the opportunity to share the best actress award at the 2015 Locarno Film Festival in Switzerland. For my part, I would agree with that assessment as choosing one over any of the other three would be a very difficult task. They are equally great and even better as a group. A lot of time passes within the story and each of the primary characters ends up with a lot to deal with both personally and as the dynamics of their group relationship changes as well. One of the primary points of the story is an exploration of how the internalization of emotions within Japanese culture has an impact on marriages, friendships, and family dynamics across the board. Every character is shown to have deficiencies when it comes to being able to express themselves and what's even more interesting is how their lack of awareness regarding these deficiencies acts as the foundation for the issues they deal with over the course of the story. Early on in the movie, the women take part in a workshop where they participate in exercises that are meant to provide more intimate and honest connections although an unexpected result of having more open communication is a major disruption in what has been the status quo of their friendships to that point. There are a couple more drastic turns that move the individuals in different directions causing their bonds to strain and, in some cases, break altogether. 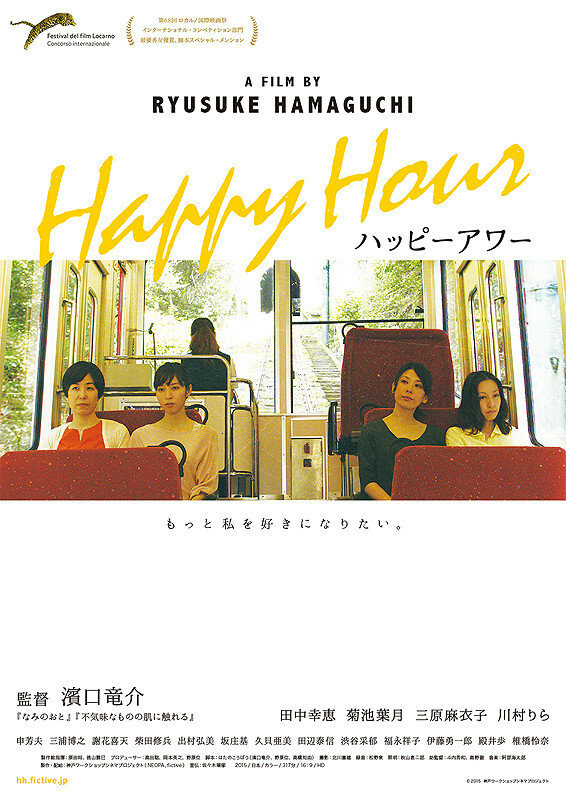 While this may sound kind of bleak and depressing, everything is presented in a very well thought out and hopeful way and, with five and a half hours to work with, Hamaguchi has plenty of time to mix in humor and levity which creates a nice balance overall. That being said, the story doesn't get a nice, happy Hollywood ending and you shouldn't expect this type of exploration to come out all squeaky clean by the time it's over. 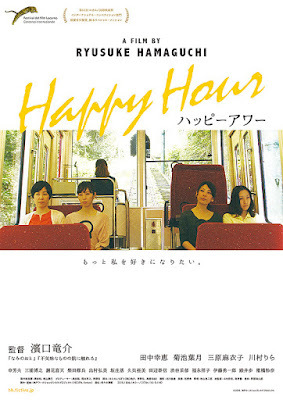 Happy Hour is an emotionally engaging movie that will leave you thinking about how we communicate, or how we don't communicate, with friends, family, and even ourselves. The length of the movie should not be a deterrent as it is definitely worth the investment in time.